If you have been interested in dabbling in Gothic style for some time, it may be time to finally take the plunge with a nice pair of Gothic earrings. These can be playful or morbid, depending on the type of symbol that you choose to wear. For example, Gothic crosses can actually be quite pretty and ornate, and are a good way to show off your faith while at the same time revealing your personality and affinity for Gothic culture. Now that this type of fashion has been mainstream for over a decade, it’s possible to find prettier and more eclectic pieces than ever before, to suit every type of style. The style of earrings can contribute to the overall Gothic look. 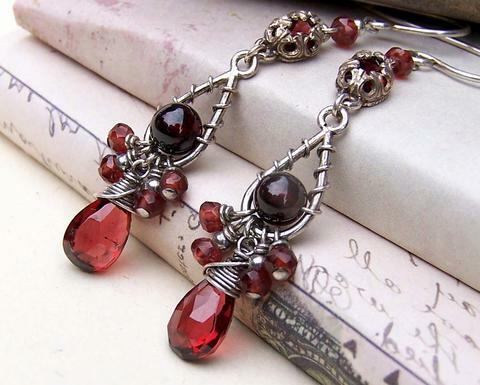 Chandelier earrings, for example, are common examples of Gothic earrings, and are worn because they are reminiscent of ancient times. They are somewhat decadent, which helps fit the overall Gothic aesthetic. In terms of materials, most are crafted from pewter, sterling silver, or gold. These might also be encrusted with precious jewels, to add to the sumptuous and decadent appeal of the earrings. It’s possible to find matching sets with rings, bracelets, or other types of Gothic jewelry out on the market, which make a great gift set. Naturally, another way in which Gothic earrings may distinguish themselves is in the types of symbols that are used. 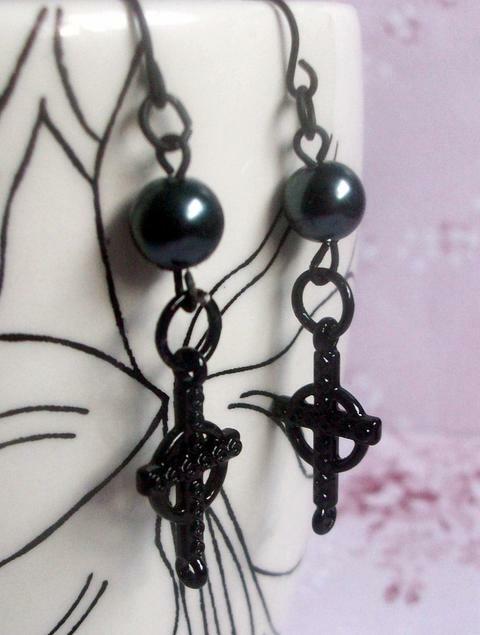 Small crosses are often seen, especially with male earrings. However, other symbols that you might come across could include anything morbid or macabre, including spider webs, coffins, skulls and crossbones, or other items that could symbolize death. Ancient Egyptian symbols, such as scarabs, are another frequently seen theme in all Gothic jewelry. This is because the ancient Egyptians aligned themselves with the underworld, and prepared for the afterlife, which fits in with the death associations of Gothic culture. To start your search for the Gothic earrings that will best match your personal sense of style, you might want to think about what themes you currently enjoy, and what type of jewelry you already own. If you tend to wear more silver than gold, for example, then you will probably want to opt for sterling silver earrings that match your other jewelry pieces. However, part of the pleasure of accessories is that you can be more experimental with them, and try out new looks that you wouldn’t ordinarily bother with in your clothing. For this reason Gothic jewelry is perennially popular.